In adults, chest pain is considered as a sign of severe problem in the heart. What will happen when teenagers and kids also complain of chest pain? Luckily, the heart problems are uncommon in children; however, there are some harmless causes of chest pain and precordial catch syndrome (PCS) is one of the common reasons. Due to PCS, sharp pain occurs on the left side (between rib cage and sternum bones) just for a few minutes and reduces without any treatment. The disease was highlighted in the year 1955 by Texidor and Miller, who were included among the first ten patients of this syndrome. PCS or precordial catch syndrome is non-threatening condition which usually affects the kids and adolescents. Intense pain is experienced in the cartilage, which reduces within one to three minutes. The pain intensifies while taking breaths. Sometimes, the precordial catch syndrome causes cracking and popping in the chest when the patient exhales or inhales. The duration and intensity of pain varies, but it never happens in sleep. To get relief, it is advised to take deep breaths for a few minutes. Sometimes, the pain is noticed multiple times in a day. Unlike heart attack, the PCS pain does not radiate to other areas. • Pain during heart attack radiate while PCS pain stays in specific area. • Precordial catch syndrome makes it difficult for the patient to breathe in and out slowly and deeply. • The duration of pain takes a few seconds or minutes (mostly three minutes). • In case of sharp pain, blurriness or loss of vision is experienced (on temporary basis). • Usually PCS pain occurs when the patient is inactive, lying down or sitting. Up till now, the reasons behind PCS pain are not confirmed. Miller and Texidor believed that the pain caused due to pleura involvement. Clinicians reported that PCS may be occurred due to cramps in muscles’ group in the chest region. On the other hand, some researchers claim that pain may be experienced due to pinch on serves. No known medication is introduced to treat precordial catch syndrome. 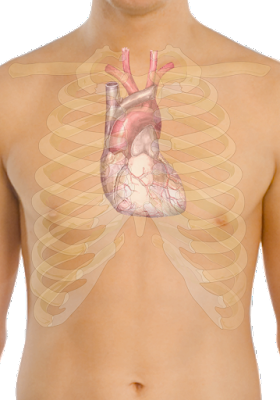 Though the disease is undamaging, but pain in chest can be the signal of dangerous conditions. Therefore, to get peace of mind, it is necessary to diagnose the disease. It is observed that precordial catch syndrome is common in those who have adopted inactive lifestyle. So take part in healthy activities to enjoy stress-free life.